Rod Serling’s Opening Narration – This is Gart Williams, age thirty-eight, a man protected by a suit of armor, all held together by one bolt. Just a moment ago, someone removed the bolt, and Mr. Williams’ protection fell away from him and left him a naked target. He’s been cannonaded this afternoon by all the enemies of his life. His insecurity has shelled him, his sensitivity has straddled him with humiliation, his deep-rooted disquiet about his own worth has zeroed in on him, landed on target, and blown him apart. Mr. Gart Williams, ad agency exec, who, in just a moment, will move into the Twilight Zone – in a desperate search for survival. You think the white collar, corporate world nowadays is harried, stressful and unrewarding? Try the 1960’s white collar, corporate world. Gart Williams, played by James Daly (Star Trek and The Invaders), is an example of a man on the verge. A man pushed beyond his limits. Gart is, unfortunately, a man who is repeatedly dogged, pushed down and clobbered by his peers. Peers he knows he cannot compete with. 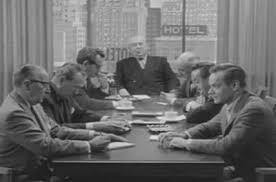 Rod Serling’s story, which is one that is very close to his heart, is a character study of a man who cannot keep up with the cut-throat and intense world filled with smokey executive board meetings and high end accounts that make or break the most precise ad agencies on Madison Avenue. It is an episode, that to this day, still gets me everytime. Daly’s portrayal of the collapsed Gart is a wonder to behold and remains one of the best turns by an actor in a TZ episode. He is charismatic but something underneath reeks of a person who cannot deal with what the hustle and bustle world has transformed into. That is what makes this episode so timeless. It is still relevant today. Gart Williams is every John and Joe Smith out there, that in today’s always connected almost Orwellian world, continues to struggle to keep up. Because of such pressure, and his inability to be a shark among other sharks, brings him to a buckling point. He becomes psychically ill and borderline suicidal. He wishes for a more tranquil life where things happen in a much slower pace and there is no dog eat dog mentality to deal with. Serling’s enduring story, of someone who wishes to slow down when outside forces push him in the other direction, is a very raw piece of work. It is beautifully told. It is sharp and very astute. Not many other Season One episodes come this close to a perfect TZ story. Serling wrote the episode and Robert Parrish (City Lights and Casino Royale) directed. It begins in a boardroom meeeting at an Ad Agency on Madison Avenue and things bode terribly for Gart who we see immediately in distress. Gart, due to Daly’s impeccable acting, is jittery, nervous and in dread. His overweight, cigar munching boss, Mr Misrell (played by Howard Smith) is chewing him out for losing an account and being upstaged by a young go getter who stole an important account from right under his nose. It is not a pretty scene as Parrish relishes in slowly turning the knife on the whole affair. By the time Gart explodes at his boss we all discover that we have been holding our collective breaths the whole way. Serling and Parrish also setup a other-worldly mood once Gart makes his way to the train which ferries him to and from work. Using a stark and almost empty train car the atmosphere is dripping with texture and sounds as Gart, after engaging the conductor, drifts off to sleep. He experiences someplace he subconsciously didn’t always know he wanted to belong to. A place named “Willoughby.” He wakes up to a completely different train car and a completely different train conductor. Outside, he is told is the town of “Willoughby.” Gart remains a bit annoyed in this first experience but not without first taking a look outside the train car at what seems like a turn of the century town in which it’s inhabitants all appear happy, healthy and at complete peace. A place with a fishing hole, a town gazebo and horse and carriages. In a flash, as fast as it come and goes, Gart wakes up in his normal time and place. 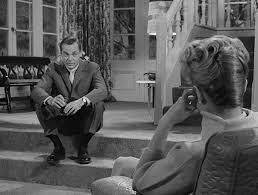 Once home, his rather frigid wife, Jane, confronts him about his outburst. “Did you just wreck a career?” she asks of Gart. Actress Patricia Donahue (General Hospital and Bonanza) brilliantly channels the Shakespearean template of the shrewd, Lady MacBeth-like woman. She is a social climber and completely unbearable and immediately unlikeable. She is intentionally written that way as she is the obvious polar opposite of the defeated and worn Gart. Even when they discuss his predicament, Gart remains the sympathetic character here, where as Jane remains the ever stern and authoritarian spouse. In some very revealing exchanges it is shown that Jane dislikes her weakened husband and in a heart wrenching scene where Gart begs her to help him over the phone, she denies him any comfort. She earlier tells him he was born in the wrong century. Harsh stuff. She practically tells him wouldn’t be where or who he is without her “appetite” but he tells her he would prefer to be someplace else. 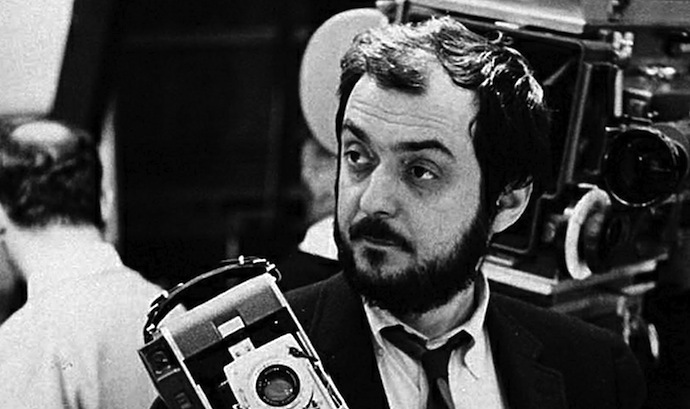 Willoughby. A place that looks like a Currier and Ives painting. When he travels repeated times and glimpses more and more of Willougby, we feel either he is dreaming or perhaps losing is mind. Or maybe, in Serling’s warped universe, a little of both. Gart’s exchanges with both the present and past Conductors are revelatory and important since the lines continue to blur. What becomes of Gart? You must see it to believe it. 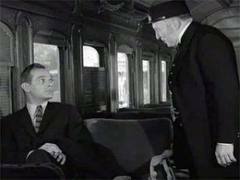 “A Stop at Willoughby” has one of the most shocking, daring and admirable conclusions ever done by Serling and company. It is a bit of a mixed blessing for Gart as it is revealed what has transpired. The episode will always remain one of the most important and heartfelt stories in the long run of this series. A beautifully sublime and engaging story that is real, timeless and sad. Daly, Serling and Parrish’s direction elevate this episode. Their insight into both the stinging corporate world and the land of dreams is amazing. It is a rare episode that so successfully explore’s a man’s struggle to always be in a better place and whether he gets there or not is decided upon his frame of mind and his honest decisions. Highly recommended! Rod Serling’s Closing Narration: Willoughby? Maybe it’s wishful thinking nestled in a hidden part of a man’s mind, or maybe it’s the last stop in the vast design of things – or perhaps, for a man like Mr. Gart Williams, who climbed on a world that went by too fast, it’s a place around the bend where he could jump off. Willoughby? Whatever it is, it comes with sunlight and serenity, and is a part of The Twilight Zone. 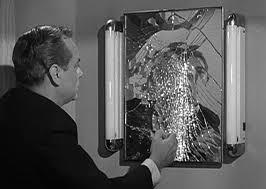 Vic’s Note: This episode of The Twilight Zone is currently available on Netflix Instant Streaming. Enjoy! Excellent post Vic and that’s very coincidental. I just started watching season 1 of The Twilight Zone last night. I seen the first two episodes but I have the whole lot available. Can’t wait to work my way through the rest. Top quality stuff. Hi Mark! Glad you stopped by, buddy. 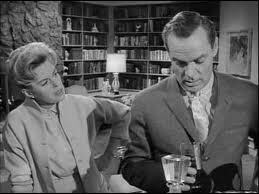 I have a few TZ episodes reviewed already and the first season probably remains my favorite of them all. Recently, Netflix took a couple of seasons off. I hope they make their way back. You will come across some really fantastic stories in S1. Drop me a line after you watch a few more. You are in for a treat, man! Glad you enjoyed the review and thanks for stopping by! Much appreciated. I love these old episodes of the Twilight Zone, that was such a good series, so many classic stories. So many indeed. So many so timeless and relevant too. Serling was way ahead of his time with all of the material. 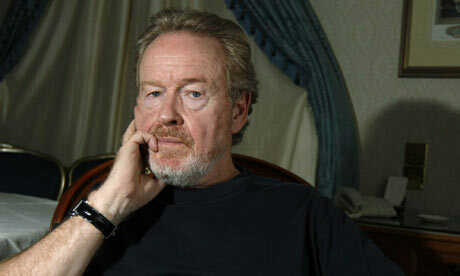 He could tell a story more successfully in half an hour than some film-makers could do in 2 hours. Thanks for stopping by, Paul. Much appreciated! 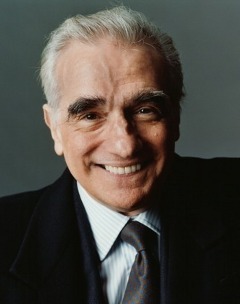 Oh, this one is a must see, Maurice. You are going to love the way this concludes. It’s too bad that Netflix yanked so many episodes leaving only the first 2 seasons. But at least we have those I suppose. Thanks for stopping by and enjoy the ep! I liked this one a lot when I was teenager, have not seen it in years. It hasn’t lost it’s punch. Still a great story and still very timely. That’s the thing Serling had a knack for doing. Creating timeless material for TZ. Hope you catch it again, soon. Thanks for stopping by! This is one of my favorite episodes! It is so dark for the 50’s audience, I’m suprised it wasn’t met with outrage. 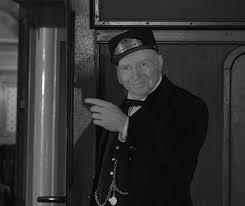 I often quote the conductor at random times, “Willoughby, next stop, Willoughby.” I’ll walk up and say it when a boss is reprimanding a co-worker, or when my wife is nagging at me about something (boy does that get her steamed 🙂 ) but most people don’t even realize what I am saying. Haha! I gotta try that with my wife, lol. When I was younger and living in NYC, my friends and I would say “Willoughby, next stop, Willoughby,:” too and we would get laughs from all the subway riders that would get the reference. This episode is indeed dark. I think Serling wanted to get his point across with the material and he succeeded. Thanks for stopping in, Michael! That is a great episode Victor, just watched this on Netflix. Isn’t it awesome? I watched it right before I posted the review and one time after. One of my favorites. I hope Netflix adds those seasons back. Thanks for stopping by! Nice job, Vic! This one certainly does explore that eternal struggle to be in a better place. Serling did that so effectively in several of his best scripts, and particularly well in this episode. You did a terrific job summarizing the story and highlighting its timeless themes. 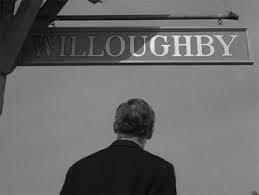 I count “A Stop at Willoughby” among my top five TZs, and even dedicated a blog post to it myself earlier this year: http://thenightgallery.wordpress.com/2013/05/16/a-doorway-to-sanity/ This is my first visit to your blog, but I plan to be back (subscribing now, in fact). Well done! Hi Paul! Thanks for stopping by. I love your page! I know I’ll be spending some time on there for sure! I love Serling’s 2 seminal shows very much and I’ve always enjoyed discussing the themes, metaphors and timeless material that both shows dealt with so wonderfully. In my opinion, no other show, (Maybe Star Trek comes close) like TZ has dealt with so many relevant issues and concerns of the day. 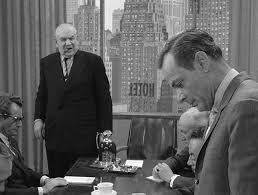 TZ had remained wildly entertaining and thought provoking. I’m glad you enjoyed the post, Paul and please feel free to drop in often, buddy! Thank you for the link and thanks for subscribing, too. Much appreciated! Great review! If I was forced to pick just one TV show that was my all-time favorite, I’d choose The Twilight Zone. Glad to know some other people liked it too. 🙂 I’ve loved it since I was very young. I’d kind of forgotten about this episode – I’d love to work my way through them all again.